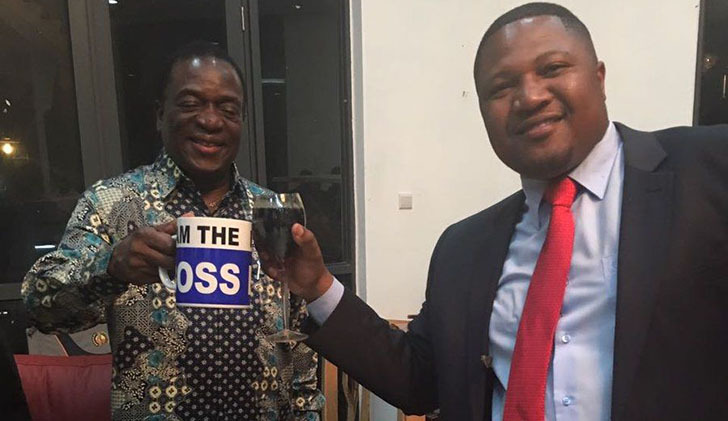 President Emmerson Mnangagwa’s ally and Zanu PF’s Goromonzi West parliamentary candidate, Energy Mutodi who spent the better part of last year commuting to Harare Magistrates’ Court facing various allegations from fraud, criminal nuisance and treason, is now back at the court prosecuting suspects as a law intern. Mutodi, who is on his second year, bachelor of laws degree at the University of Zimbabwe, has been attached to the magistrate’s court to familiarise himself with the roles of clerk of court, prosecuting services and the court. Speaking to NewsDay, Mutodi said he was enjoying his new role, though it was just for a short period. “I started my attachment on June 16 and I will wind up on August 17 this year. Though the period is short, I am enjoying, this is a compulsory attachment upon completion of the second year,” Mutodi said. Mutodi, who last year appeared in court on several occasions facing various allegations, said his attachment will not compromise justice in some of the cases which were removed from remand. When a person is removed from remand, the State can still pursue him or her using summons if the investigations are complete. “Now I do not have any outstanding cases as they were malicious allegations by the old regime,” Mutodi said. Last week, Mutodi’s rival MDC Alliance, Luke Tamborinyoka appeared at the same court charged with contravening provisions of the Electoral Act after he allegedly tore political campaign posters of his rival. When asked if he would influence or prosecute Tamborinyoka, Mutodi said in the interest of justice, he would recuse self.